Joseph Holland is the senior partner in the Snowflake office of The Holland Law Group. 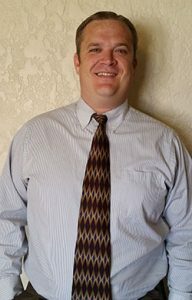 Joseph began practicing law in Mesa, Arizona in 2006 and shortly thereafter moved his growing family to the White Mountains. Joseph focuses his legal practice on the areas of real estate law and real estate related litigation, contract disputes, negotiations, appeals, and collections. After about a year in practice in late 2007, Joseph moved his family to Snowflake and opened up his own law office. Over the years, Joseph has demonstrated excellence in his practice and can boast of successfully arguing multiple cases before the appellate courts, several of which have resulted in published opinions. In addition to his legal practice, Joseph is involved in numerous civic and community organizations as well as private entrepreneurial groups. He also is a licensed realtor through SEI Real Estate Professionals. Joseph and his wife, Crystal, keep themselves busy with their energetic eight children.